Hampton Art offers premium quality clear acrylic stamps in a wide variety of images and themes to match any and every project or design style. Simply place on any acrylic block, ink and stamp! 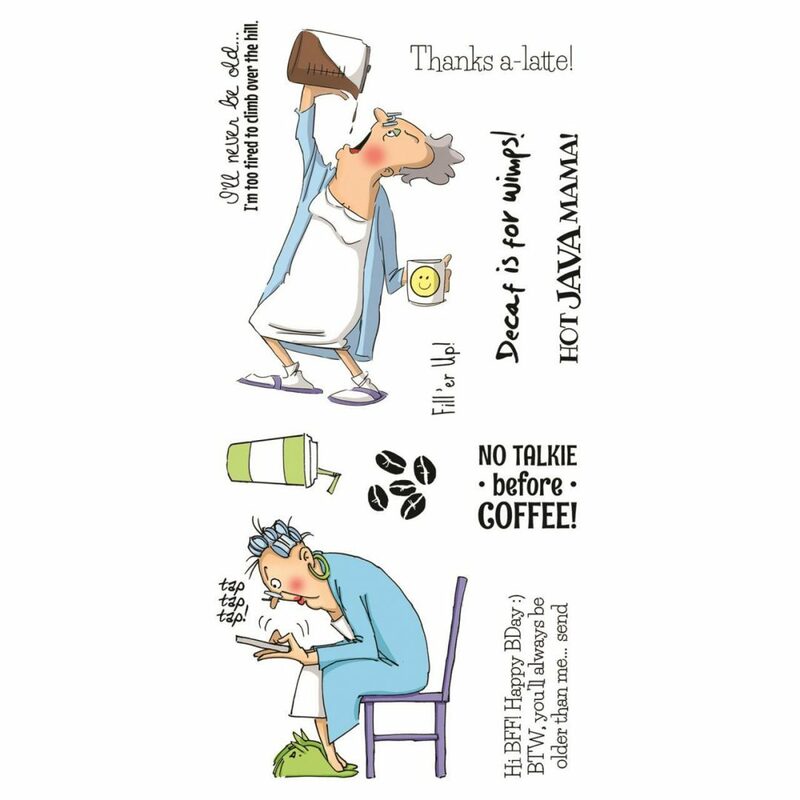 This package contains Hot Java Mama: 11 clear stamps on one 3.875x7.75 inch backing sheet. WARNING: Choking Hazard- small parts. Not for children under 3 years. Made in USA.